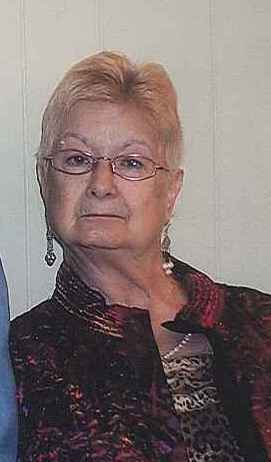 Funeral services for Joyce Britt Brown age 79 will be held Tuesday at 2:00 at the Red Hill Baptist Church. Rev. Timmy Lee and Rev. Jeff Steen will officiate. Burial will be in the Red Hill Cemetery directed by Norton Funeral Home, Bishopville. Visitation will be Monday 6-8 at the funeral home. Joyce was born in Alcolu a daughter of the late Wilson and Catherine Britt. She was a member of Red Hill Baptist church. She worked at the Food Lion as long as her health allowed. Surviving are her husband, Travis H. Brown, Rembert; one daughter, Cathy (Allen McKnight) Brown, Rembert; one son, Heyward Brown, Rembert; one sister, Brenda Kornfehl, Sumter; one special niece, Kay James, Sumter. Norton Funeral Home is honored to serve the Brown family.